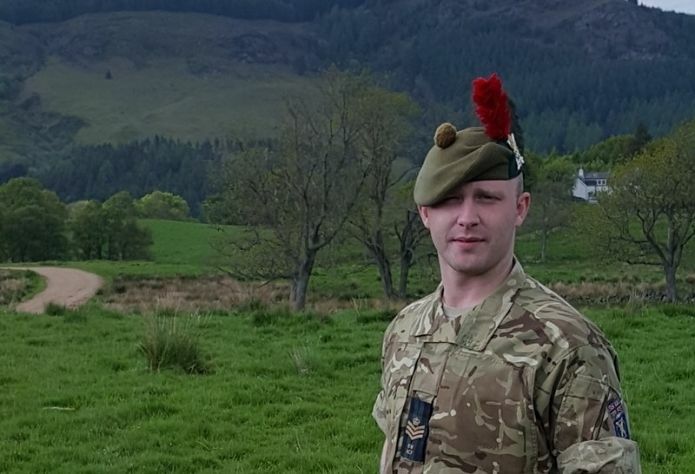 From cadet to full time adult instructor, SSI Dougie Gold has used the skills and experience gained in the ACF to benefit his career. Being offered a job as an ACF instructor full time was one of the best moments for me. I am a sheet metal worker to trade but after teaching cadets for a number of years I was offered a post in the school/cadet expansion programme with Black Watch Battalion ACF and I have been doing it for a year and a half. It has been a big change to what I am used to but it was definitely for the good. I have been part of the ACF for 12 years as both a cadet and an adult instructor. The Army Cadets has turned me into a confident individual, who is willing to take on new challenges and I joined to help young teenagers to overcome the challenges they normally wouldn’t have done. One of the best things about being in the ACF is being able to see cadets grow from being shy 12 year old kids into young adults who are able to embrace any challenge thrown at them and be impressed with the results that they achieved. The skills I have gained while being in the ACF have helped me to overcome many of the challenges I have faced in life. When a plan hasn’t gone the right way or a problem has arisen, being able to overcome them through quick thinking and leadership means the problems are soon resolved and you get a clearer idea of how to approach a task. I can also thank the ACF for improving my self confidence and my timekeeping! Watch Dougie in our recent recruitment video for Scotland.